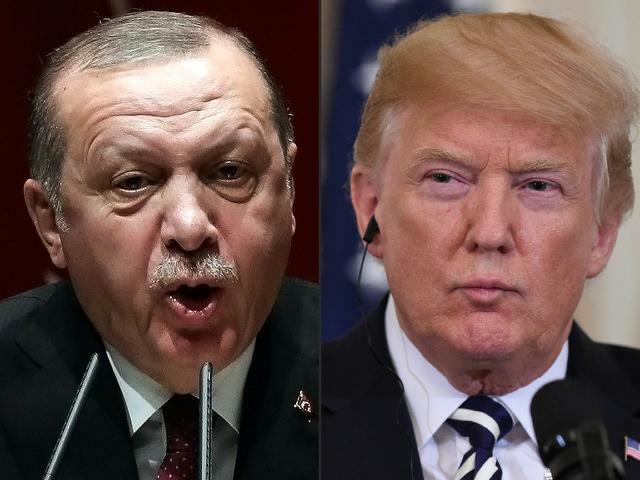 Ankara (Turkey) (AFP) – Turkey on Monday vowed it would not be intimidated by US President Donald Trump’s threats of economic devastation if Ankara attacks Kurdish forces as American troops withdraw. Trump’s threat came after Ankara repeatedly threatened a new cross-border operation against the Kurdish People’s Protection Units (YPG), which have been working closely with the United States in the war on Islamic State (IS) extremists. Turkish President Recep Tayyip Erdogan’s spokesman Ibrahim Kalin earlier said Ankara would “continue to fight against them all”, referring to IS and the YPG. Trump had also pushed for the creation of a 30-kilometre (20-mile) “safe zone” in his tweet but offered no details. Cavusoglu added that Turkey was “not against” a “security zone” in Syria, during a press conference in Ankara with his Luxembourg counterpart Jean Asselborn. Spokesman Kalin added it was “a fatal mistake to equate Syrian Kurds with the PKK”. The threat of new sanctions hit the Turkish lira which weakened after 1100 GMT to reach over 5.5 to the US dollar, a loss of over one percent in value on the day. Syria’s National Coalition, the leading opposition body, on Sunday called for a “radical solution” to put “an end to its (HTS) presence” in Idlib. “If Idlib is a terrorists’ nest, those responsible are not the Syrians who live in the region or Turkey but the regime and the countries which support (Damascus),” Cavusoglu said, claiming that the statements that HTS took 50 percent of Idlib are “not true”. Cavusoglu added that the Idlib deal was being “successfully applied” and that “our teams are working together to solve the minor issues”.